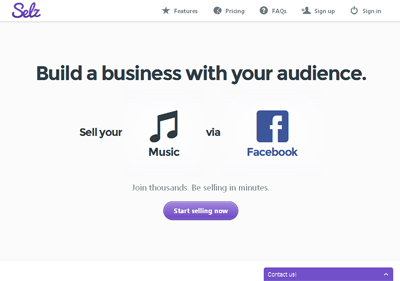 Selz is an easy way to sell something digital or physical online in minutes from your blog, website or social networks. You take a picture of what you want to sell, add a price, share it on your blog, website or social network. Selz securely handles the processing of payments when something is sold. No contracts, no merchant accounts, no ongoing fees. You pay just a small fee when you sell something. You can sell something digital or physical from clothing to ebooks or software. Selz is ideal for entrepreneurs, bloggers or small businesses looking to build a business with their audience. • Free setup. No contracts.